A man recently identified by the police as a “drug personality” was allegedly caught in possession of shabu worth P108,800 during an anti-drug operation in Tagbilaran City on Thursday night. The alleged drug dealer, identified as Liff Jansy Lumagbas, 29, of Barangay Bool, was arrested by police during a drug buy-bust operation near his residence. 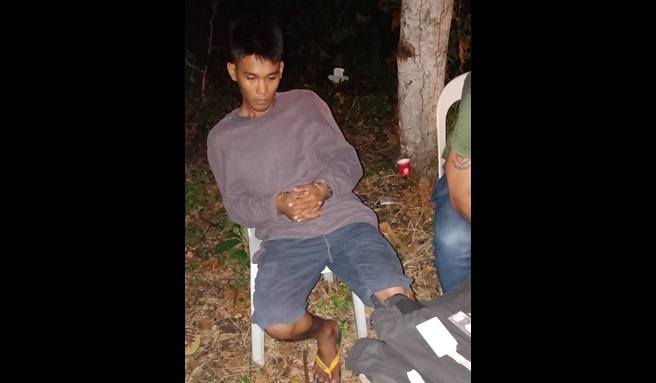 He was allegedly spotted by operatives of the Tagbilaran City Police Station as he sold shabu along Venancio Inting Avenue in Tagbilaran City. The police under the supervision of newly installed Tagbilaran police chief Christopher Navida then carried out the staged drug transaction against Lumagbas. Police said that Lumagbas sold shabu worth P500 to a poseur-buyer resulting in his immediate arrest. Operatives then allegedly found 12 sachets of shabu which weighed 16 grams in Lumagbas’ possession.